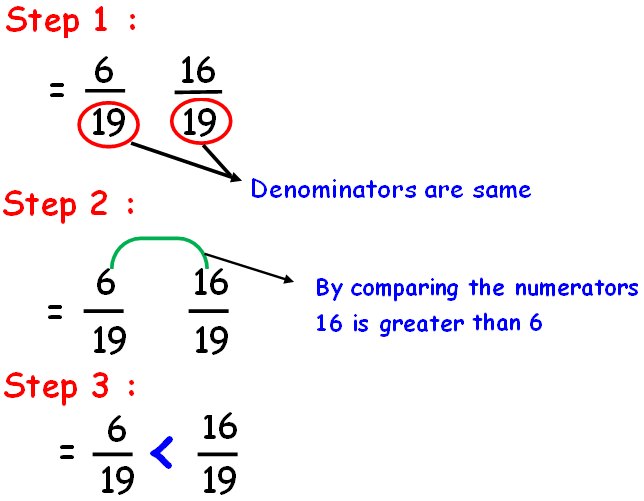 About "Comparing and ordering fractions"
In the topic comparing and ordering fractions, we are going to see how to compare fractions. 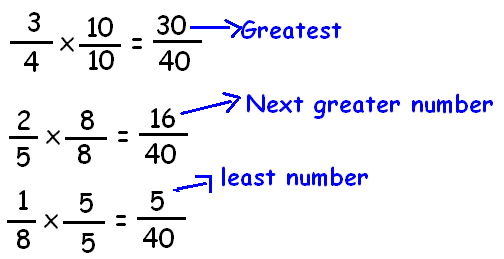 Let us see the steps involved in this topic. 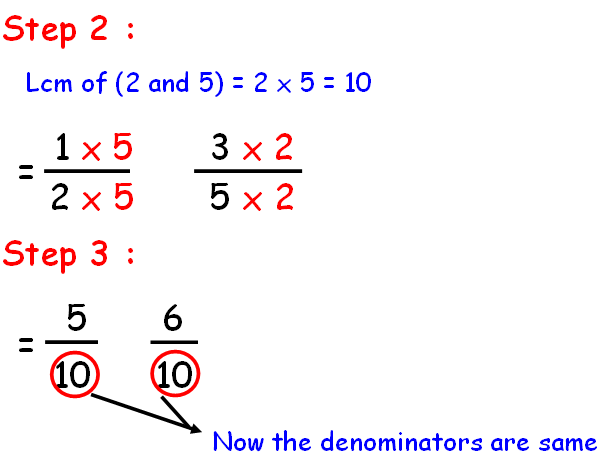 Whenever we want to compare two or more fractions, first we have to check the denominators. 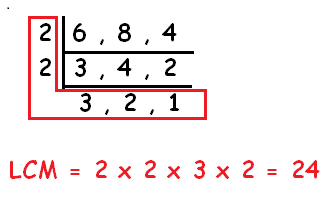 If the denominators are same then we can decide that the fraction which is having the greater numerator is greater. 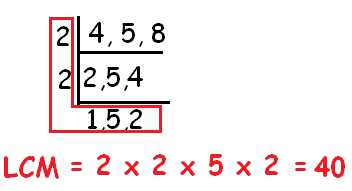 Hence, 16/19 is greater than 6/19. 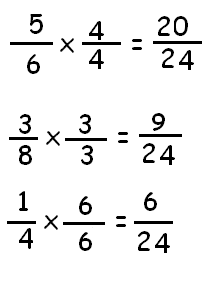 Now we have to make each fraction with the common denominator 24. 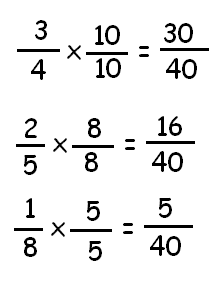 After having gone through the stuff given above, we hope that the students would have understood "Ordering and comparing fractions".